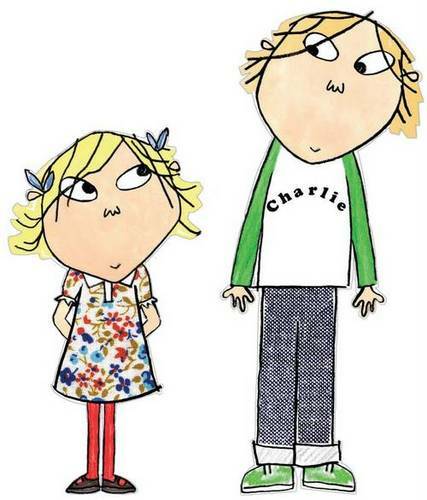 Sorry Charlie, it’s Julie and Mike in this story! So what’s a big sister to say when her younger brother calls after 6 months and has nothing but nice things to say about her? Well that’s an invitation to share a few nice comments in return. First, oh my, how you have grown! The ravages of Lyme Disease are bringing more blessings that I could have ever imagined. Let’s look beyond my tearful doctor appointment today for a moment: my brother Mike is growing into a nice guy who can look beyond his own situation with compassion for others. He is sensitive to things of the Lord and the delights of the world around him. He spent time reviewing this blog, researching Lyme Disease and discussing it at some length with his girlfriend before contacting me. Thank you for caring about me Mike and calling me yesterday! You are helped me see beyond my situation. Maybe the Lord is working in more than one person’s life? Hmmmmmm . . .
As we reminisced a bit it was clear that our childhoods were a mess, with heartaches sprinkled with some good times too. Nonetheless, I enjoyed talking about one of our favorite places: Grandma and Grandpa Lech’s house on Lake Columbia (Brooklyn, Michigan). Yes, that tractor tire was a blast that Grandpa got for us to play on in the canal in front of their house. Remember paddling it by hand out in the deep water to the “big lake?” That was risky as Grandma would be worried if we ventured too far from home. Worried that is, if she noticed while in the midst of overcooking the chicken for dinner or putting the Better Made Potato Chips just a little further from our reach on top of the refrigerator! She always had those cookies striped with chocolate and would slip a few quarters in our pockets before we went home. You were an expert at locating golf balls in the cornfield and woods around the golf course. And you always made more money than me and our other brother, Rob, selling them back to the golfers! Loved sneaking onto the golf course to use the ball washer. Such a cool gizmo for a kid to use! Yes, the times at the lake each summer were the best of times. Rob is now gone and so is our mom, dad and Grandma Lech, all within the past 9 years. We have both been through so many changes in addition to these losses that it’s tough to keep up with all of them and the impact that they have had. Perhaps we need another phone call or visit before too long? And let’s keep looking to Jesus Christ as our strength and hope in all things, k? He cares about both of us more than we know and holds our hearts and future in the palm of His loving hand. I praise Him for you and thank both of you for thinking of me. Once there were three of us kids, three that mom would yell for out the back door for dinner, “Julie, Mike and Roooobert!!! !” And now there are two of us. Let’s make the most of it, eh? I love you Mike. Previous Lyme Disease? Bah! The Very Idea!